If you're like me, emerging from your winter cocoon a bit disheveled, frumpy, and wearing sweats, you need something (like maybe a fabulous beauty product?) to perk you up. While there's no magic bullet for every issue getting older (and a bit more sedentary) can bring on, there are some pretty amazing things availabe in stores to help the process along. Here are my best bets for stepping up your game for spring. Take the Cheribundi 7-day challenge and learn about the health benefits of juice, plus get coupons and savings offers! Big, ol', nasty scars. They don't make you feel very good about yourself, and yet, most people have at least one that they wish they could get rid of. If you've tried smelly creams full of chemicals and want something more low-key, you'll definitely want to try the sheets we tested from ScarAway! 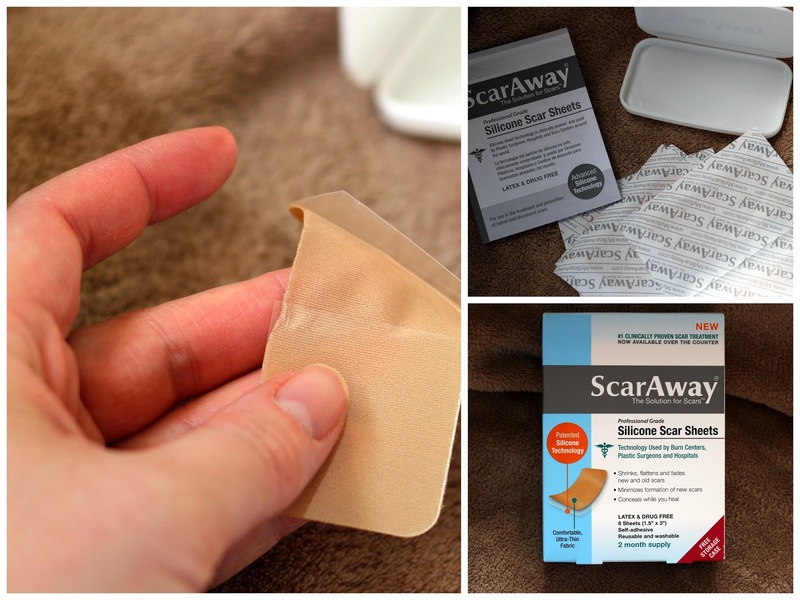 I used them on my c-section scar (16 years of scars over 6 different surgeries), and I was blown away by the fact that my scar was smoother, softer, and less noticeable within days. They work to fade and flatten hypertrophic (red, raised) or keloid scars using patented silicone technology that is clinically proven to work. Just peel the back off, stick them on, and wear for hours before putting them back into the included storage case. One sheet lasts for several wears! ScarAway's solutions are safe for kids, too. You've heard about the trend and have wanted to try "oil pulling." Before you dive headfirst into using just any oil, I recommend one that tastes a bit better. GuruNanda has a pleasant aftertaste, easy measuring cup, and all the directions you need to do it right the first time. I probably won't be pulling for everything under the sun, but I do like how my teeth feel after using it! 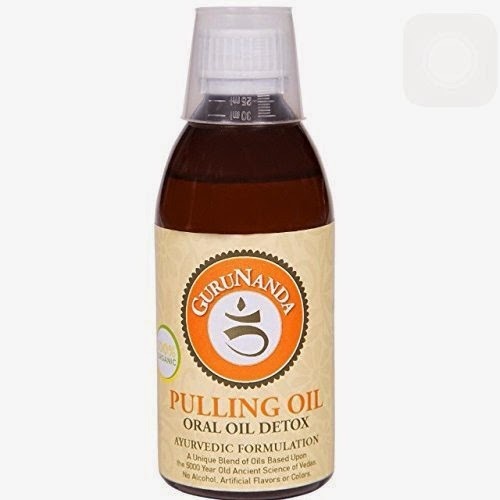 A combination of Sesame Oil, Sunflower Oil, Coconut Oil, and Peppermint Oil, GuruNanda Pulling Oil is a safe way to discover what everyone is talking about! I'm not "gluten-free" with my eating, but I do love some of the recipes! If you're forced to eat this way, or just choose to for your health, I can recommend many of the offerings in this book from Parragon. With 100 foods described in detail, along with ways to use them and one recipe each, you'll find more than blueprints for making existing recipes; you'll get inspiration for incorporating healthy food components and making your meals your own! 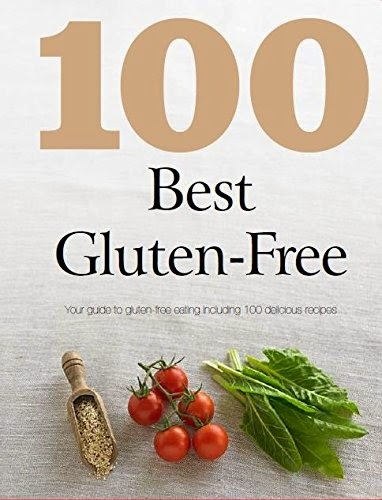 Whether you're expanding your use of olive oil, or trying fresh figs for the first time, everyone can benefit from 100 Best Gluten-Free! I hate gargling. I hate salt water. So, you can imagine that I hate when people tell me to gargle with salt water when I have a sore throat! I recently gave GoGargle a try after having a little cold, and I was glad I did. Yes, it is salty, but it also have a clean mint aftertaste that makes it easy to deal with. 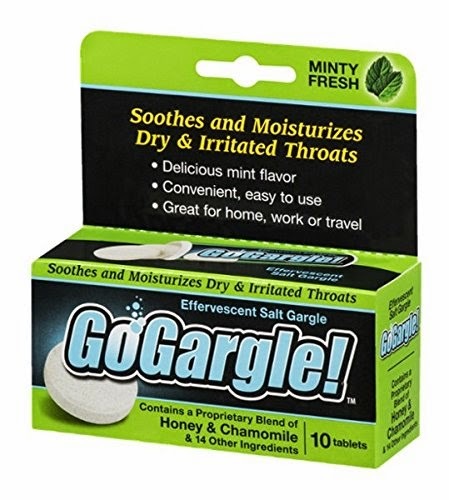 One GoGargle tablet dissolves instantly in warm water, making the process of preparing a salt-water gargle simple, sanitary, and easy to to anywhere -- even on the road! The next time you're tempted to use a chemical spray or lozenge, I would recommend giving GoGargle a try first. With instant results, it's a more natural way to bid a sore throat good-bye! My kids are already begging to get the pool set up, even though it's only April here in Nebraska! And while we are not yet having swimming each afternoon, I'm already assembling the things we need for seamless swim sessions, including sunscreen, swimming trunks, goggles, and SwimSpray. 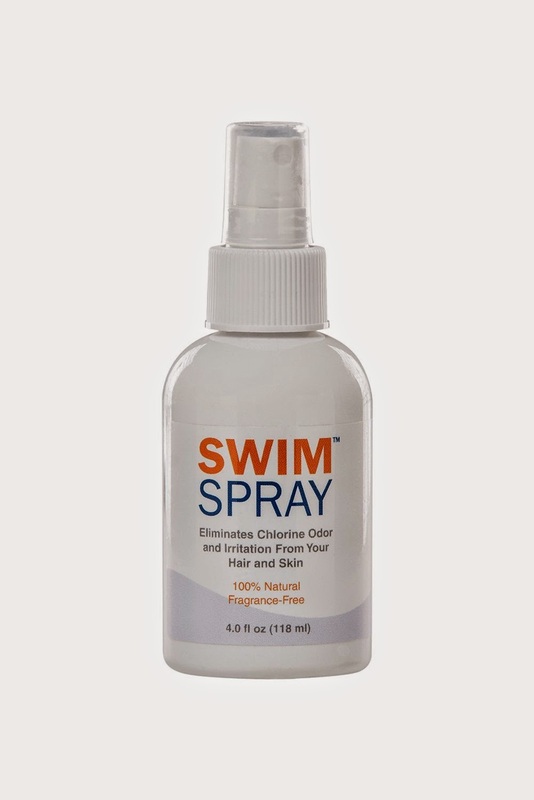 What is SwimSpray? It's an effective products to remove chlorine residue from skin and hair after swimming. So, no more brittle green hair, and no more reactions from kids who have a hard time with chlorine that can't come off in the shower with traditional soaps. It's made with vitamin C, so it's effective and safe for kids -- and moms -- of all ages! You can even use it in conjunction with your favorite shampoo and conditioner. I seriously don't want my showers to ever end. That's because they are the only time I have to myself, where I can unwind, reflect, and enjoy the soothing smells of my favorite body washes. This time around, I have been getting into the very luxurious and hydrating Shower Cream from SoftSoap. It has real almond and coconut extracts in it, and my dry and flaky skin just soaks it up! I rarely have to use lotion when I'm done -- even when it's really dry in my house. I've also just started the Exfoliation process using the Fruit Polish. It has apricot seeds, so it's not overly scratchy, but has enough scrub to get rid of all the nasty dead skin I'm dealing with. I'm happy that both smell amazing, and I have better looking skin after this harsh winter. Are you super excited for spring, too? What products can you NOT live without? *Samples of products were received to review. No additional compensation was received. Opinions are my own.